Elto is a Japanese-style fashion shop located in Publika, Mont Kiara. At first, I was quite surprised with its “Everything Japanese” concept of the store. I felt as if I was in a shop in Ginza, Tokyo! 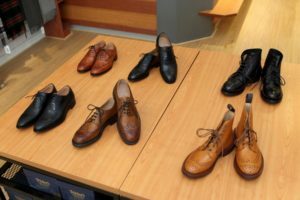 Elto sell clothes and shoes, including winter and autumn clothes. Mr. Yuki Mori, the founder, owns a few online shops back in Japan. 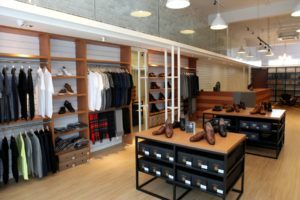 When he came to Malaysia, he had a vision to set up a shop that caters the fashionable Malaysian upper class by selling a particular selection of designer brands such as John Smedley, Johnstons of Elgin, Tricker’s, Cheaney, Auttero, Barbour, Fox umbrellas…etc. Online shopping is also available. All of these brands are famous and can be found easily in Japan. However, these branded, designers clothing lines are unheard of in the Malaysian fashion scene. Apart from Elto, locals will not be able to find these names in other clothing stores. 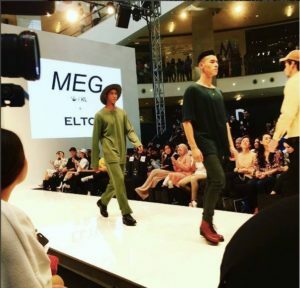 ELTO recently showcased their line of shoes along with MEG, a famous brand in Malaysia during the KL Fashion Week. So far, majority of the customers are all Japanese who lives in KL, however he is hoping that more local customers will be aware of his shop and, more importantly, know more about the brands that are sold in Elto! 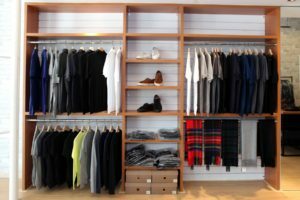 So be sure to check out the place and become one of the trendsetters to wear the designer wears that can only be found here! ← How does one address a stranger? That’s the first problem for us Japanese peeps!